Joanne A. McGriff, MD, MPH is Assistant Research Professor in the Hubert Department of Global Health at the Rollins School of Public Health and Associate Director of the Center for Global Safe WASH at Emory University. She completed her undergraduate work at Princeton University and earned her MD degree and Masters in Public Health from the University of Rochester School of Medicine and Dentistry (NY). After completing medical school, Dr. McGriff gained expertise in clinical and community-based research by completing a National Research Service Award (NRSA) post-doctoral research fellowship in geriatric psychiatry. 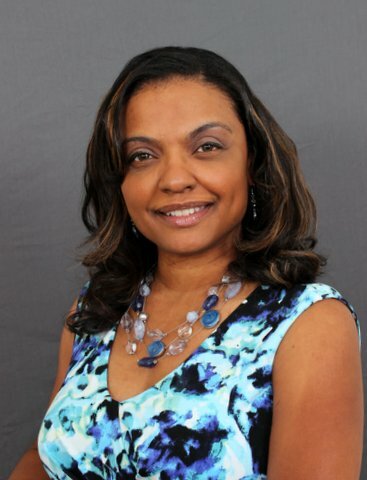 While working with a multidisciplinary team of researchers and clinicians in the Laboratory of Personality and Development at the University of Rochester Medical Center, Dr. McGriff gained instruction and experience in research design, data analysis and managing study logistics. Her research centered mostly on the process of outpatient mental health treatment engagement and patient and caregiver attitudes towards depression treatment for older adults. Early on in her training, she also received an International Medicine Summer Fellowship to conduct medical development work in northern Haiti. A descendent of Haitian parents and fluent in Haitian Creole, this fellowship served as a catalyst to Dr. McGriff’s interest in rural community development and the social and environmental factors in developing countries that impact health. Dr. McGriff went on to complete a masters in public health (MPH) from the University of Rochester Department of Community and Preventive Medicine and has since been active in several community, medical and WASH-related development projects in Haiti. From 2008-2012, Dr. McGriff worked as Executive Director of a non-profit working in rural Haiti. Her work included providing leadership for over 50 clinical and program staff members and management for several US-based programmatic & resource development committees. She was also responsible for overseeing Haitian staff implementing a four-year USAID-PEPFAR grant in HIV prevention in rural Haiti. Dr. McGriff joined Emory in 2012 and as a research professor and public health practitioner, she is currently working on water, sanitation, and hygiene issues in healthcare facilities globally. Her area of interest includes sustainable water treatment in healthcare facilities, infection control and prevention training, and behavior change among healthcare workers.